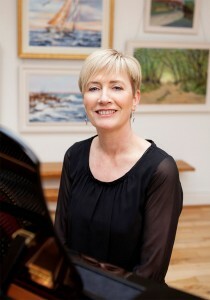 The Online Shop for Irish composer and song writer, Sue Furlong, was born in 1962, in Waterford (Port Láirge), Ireland’s oldest city, and home of Waterford Crystal. One of Sue’s most exciting commissions to date came as a result of works she had included in Boosey & Hawkes bestselling “Singing Sherlock”, a singing resource for Primary Schools. Renowned vocal and choral specialist, Val Whitlock, asked Sue to write a musical for children, on behalf of Solihull Music Service, Birmingham. In 2007, Sue founded a mixed choral group called Vocaré, which is now a multi award-winning choir. With a repertoire ranging from Bernstein’s “Chichester Psalms” to Thin Lizzy’s “ Don’t Believe”, one of Vocaré’s winning performances earned them an invitation to perform in the Carnegie Hall debut of American composer, Carol Barnett’s, “Bluegrass Mass, The World Beloved”. Sue has recently retired as conductor of Vocaré choir in order to pursue her career in composition.